Peter Estournes, vice president of Gardenworks, has been involved in the landscape industry since he was a young boy working for his father’s landscape company. A 1981 graduate of California Polytechnic State University in Pomona, he graduated with a degree in Ornamental Horticulture, and has worked throughout the industry as a nurseryman, grower, consultant, and contractor. 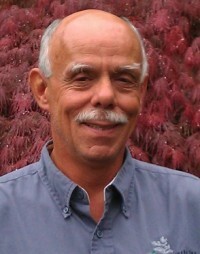 Peter is licensed by the State as a Landscape Contractor (C-27) and Qualified Pesticide Applicator. He is also a Certified Landscape Professional and Certified Landscape Irrigation Auditor. He is an active member of the California Landscape Contractors Association, The Green Industry Advisory Council, and has been active on numerous committees and boards relating to water conservation and xeriscaping. 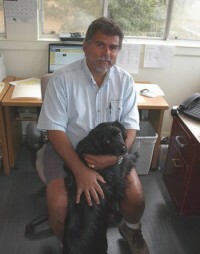 Jay Tripathi, president of Gardenworks, attended California Polytechnic State University in San Luis Obispo, where he studied Natural Resource Management and Engineering, and worked in parks and grounds management after leaving the University. 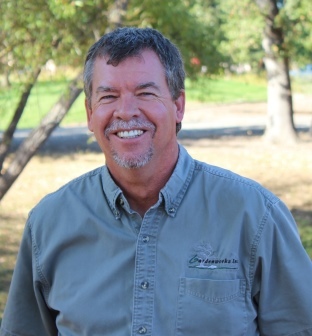 Jay is licensed by the State of California as a Landscape Contractor (C-27), Qualified Pesticide Applicator, and Certified Landscape Professional. He is an active member of the California Landscape Contractors Association on both the local and statewide level, serving on committees and boards. Jay volunteers time with many local community and service groups, and with committees coordinating community playfield and landscape projects in the Healdsburg area. 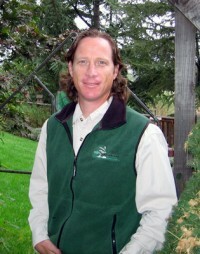 Jeff Hausman, Licensed Landscape Architect at Gardenworks, graduated from the University of California at Davis in 1995 with a degree in Landscape Architecture. While at Davis Jeff spent his summers working in landscape construction and quickly learned how valuable field experiences are to a landscape designer. After graduating, Jeff worked in landscape design/build continuing to develop his construction skills alongside of his growing design experiences. Jeff has worked at every level of landscape construction to include laborer, foreman, supervisor, project manager, and designer. His mixed experiences in the Healdsburg landscaping services industry have given him a strong platform for creating aesthetic and functional designs that are cost effective to install. Melissa Wights, Office Manager at Gardenworks, attended Chico State University and Sonoma State University where she earned her BS degree in business administration with her concentration in Accounting. She keeps the papers moving fluidly and the phone calls answered. 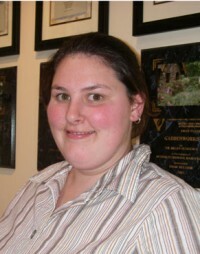 She is the point person for telephone inquiries and also manages the benefit programs for Gardenworks Inc. employees. 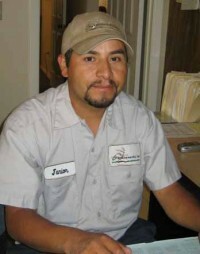 Salvador (Junior) Ledezma is our Landscape Installation Supervisor. 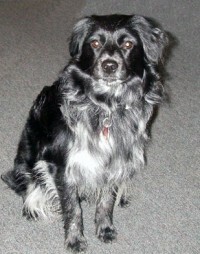 He is in charge of coordinating and managing our landscape construction projects. Junior manages multiple projects and up to 5 crews at any given time. His attention to customer service and quality landscape installation practices ensures that our clients get the best landscaping services in Healdsburg. You will see him taking that extra step to make sure everything runs smoothly in the field. Rob, Maintenance Account Manager at Gardenworks, after a successful 25-year career in the IT field supporting financial services companies, Rob made a decision to make his lifelong gardening hobby a second career. During a yearlong sabbatical Rob attended and completed the six month UCCE Master Gardener program, graduating in May 2013. In June 2013 Rob joined Gardenworks part time supporting IT projects and doing quality assurance for the maintenance division. Since September 2013 Rob has been working full time at Gardenworks supporting our maintenance division clients through our quality assurance program, onsite client interaction, and operations field support for our maintenance crews. Matt Ripley, Landscape Maintenance Account Manager, has been at Gardenworks for more than three years first as a foreman in our maintenance, then expanding his knowledge base as a foreman in our landscape installation, and irrigation departments. With 8 years of industry experience in the area as a nursery man, landscape maintenance technician/foreman, installation technician/foreman, and irrigation technician, Matt brings a well-rounded knowledge base to our clients. In addition to directly supervising our maintenance field crews, Matt also oversees our quality assurance program visiting each property on a regular basis, ensuring a high-quality product. Matt brings a commitment to the application of proper horticultural practices and will also be reviewing and updating our field training program for the maintenance department employees. With a strong background in advanced horticulture, sustainable practices, and landscape water management, Matt is a Certified Bay Friendly Landscaper, Qualified Water Efficient Landscaper, and CLT/Landscape Industry Certified in Ornamental Maintenance. Continuing education includes courses at Santa Rosa Junior College in low/high volume irrigation systems, water conserving landscapes, landscape construction, and AUTOCAD design. Ruby is our new mascot. She’s formerly of Fallon, Nevada by way of South Lake Tahoe. She’s been busy learning the ropes at the office and is now clearly in charge of treat procurement, bird chasing, small excavation projects, and mulch making. Her main job, however, is to keep us smiling and she’s become a real professional at it! When you visit us, be aware that Ruby loves sandals. She will gladly take yours and hide it in one of her many hiding places. Make Gardenworks your specialists for landscaping services in Healdsburg and across Sonoma County. Our team is waiting for your call!